Over 700 visually impaired people from 10 organizations and children of two underprivileged schools had a treat when Rajinikanth’s Kabali was screened for them at Sathyam Cinemas in Chennai. On 20 August 2016, Radio Mirchi 98.3 organised the screening for people from organizations such as Lit for light, National Association for the Blind, Lotus Blind Welfare Trust. Volunteers accompanied the visually challenged people. 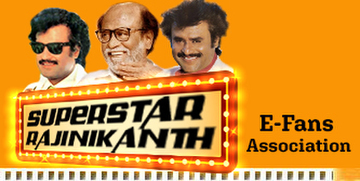 “We are very happy to watch Rajinikanth’s movie like this. The last movie, we watched was Appa at Mayajaal theatre. My favourite Rajinikanth movie is Endhiran,” said Rupa, part of Lotus Blind Welfare Trust. She was there for the 9:15am screening of the movie. The screening had a narrator describing each scene for the benefit of the visually impaired. Each scene was well-scripted: it did not interrupt the visuals or audio of the actual movie. The people who had vision were given eye patches to really know how the visually impaired feel when they watch the movie. “Rajinikanth is one of the actors who lends his own voice for the movie so it is easy for visually impaired people to differentiate. Usually, most of the actors use dubbed voices which sound similar and makes it difficult for the visually impaired to differentiate,” said C Govindakrishnan. He added that it is a great initiative by Radio Mirchi and added that such things create a social impact. “This is the first time that an organization has screened a movie at such a vast scale for visually impaired people. Very few people understand that visually impaired people also require entertainment,” he said. This is the first time that almost simultaneously they had conducted the screening for visually impaired, said Sushmita, Associate Vice President Tamil Nadu Cluster Head for Programming, Radio Mirchi. “We have screened long audio movies with the help of a non-government organization called Saksham. This time, we are able to screen Kabali after few weeks of its release. We want to take it to the next level and want to make movies available for visually impaired simultaneous to the movie release. It was a learning experience for my entire team,” said Sushmita.